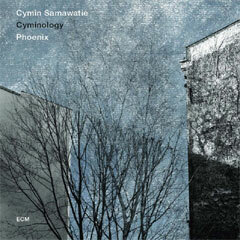 Home / Künstler / Cyminology / CD: "Phoenix"
On their third album for ECM, German-Iranian singer Cymin Samawatie and her Berlin-based band Cyminology continue on their unique course, allowing the subtle melodies and rhythms of Persian poetry to influence their compositions and improvisation. The quality that JazzTimes has termed the “self-defining poetic logic” of their music is also informed by the players’ diverse cultural backgrounds and by experiences spanning a range of idioms. The core unit of Cymin, pianist Benedikt Jahnel, bassist Ralf Schwarz and drummer Ketan Bhatti is now joined, for the first time on record, by Martin Stegner, the violist who has been a frequent collaborator since 2011. The viola, the string instrument perhaps closest to the human voice, becomes a kind of second singer here, extending the sense of cultural dialogue in the music. The album is dedicated to the memory of Forough Farrokhzaad (1935-1967), the outspoken Iranian modernist poet and film director, whose cry for personal freedom Cymin has celebrated also on the 2008 recording "As Ney". Samawatie returns to Farrokhzaad’s troubled love poems here, alongside her own lyrics, classic Sufi poetry by Hafiz (c. 1325-1390), and verse of Nima Yushij (1896-1960), who is often considered the father of contemporary Persian poetry.